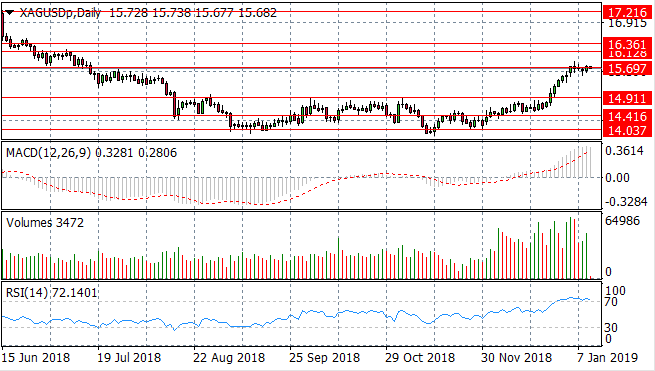 The USD/JPY pair has made a recovery from a sharp sell-off last week. However, the pair has been unable to break the 108.73 support level. Momentum indicators have stalled in bearish conditions with RSI testing the 30 support level. 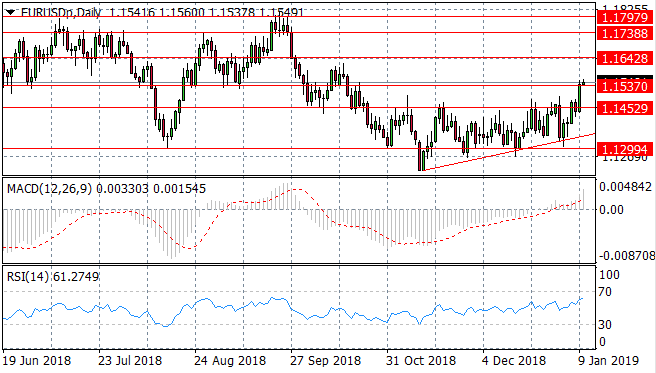 The EUR/USD pair has begun a strong rally breaking several resistance levels including the 1.153 price level. Momentum indicators have turned bullish with MACD breaking the zero line. 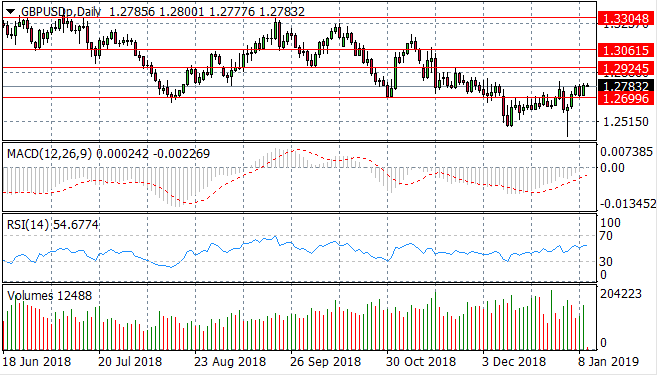 The GBP/USD pair has also made a recovery from the sell-off last week and has broken the 1.269 price level. In recent trading, the pair has struggled to move beyond this key resistance area. Momentum indicators have maintained an overall upward trajectory with MACD approaching the zero line. 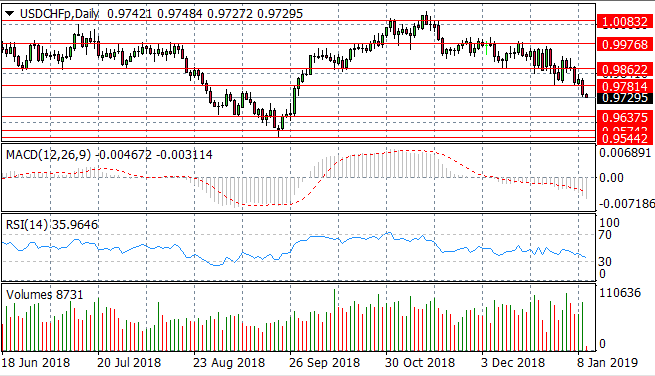 The USD/CHF pair has dropped back to break the 0.978 support level as the longer term descending trend begin to gather momentum. Momentum indicators are have turned sharply bearish with RSI approaching the 30 support level. 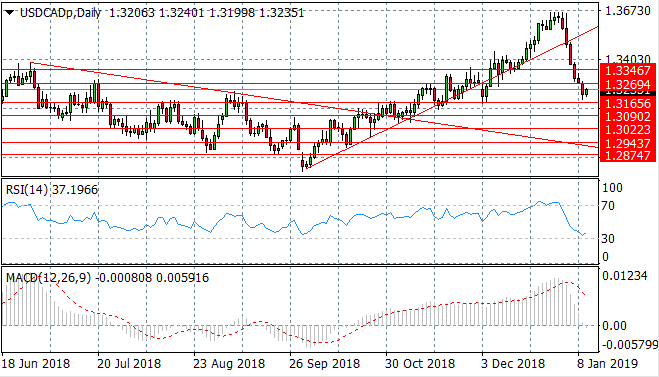 The USD/CAD pair has pulled back from a long-term uptrend and as a result has broken several support levels including the 1.326 support line. The break has been met with buying activity in today's session. Momentum indicators also reflect the bearish sentiment; with MACD undertaking a momentum reversal. A series of doji candles represent indecision as Silver struggles to break through the 15.69 price level. A reversal may be imminent as the pair is unable to break the resistance line. 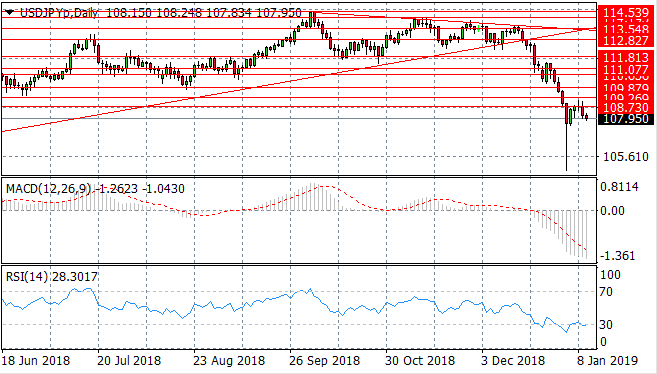 Momentum indicators also suggest a reversal is likely with MACD stalling in bullish territory, however, RSI has pulled back to test the 70 resistance level. Gold has also stalled after a significant rally, still falling short of a recent price high of 1303.94. 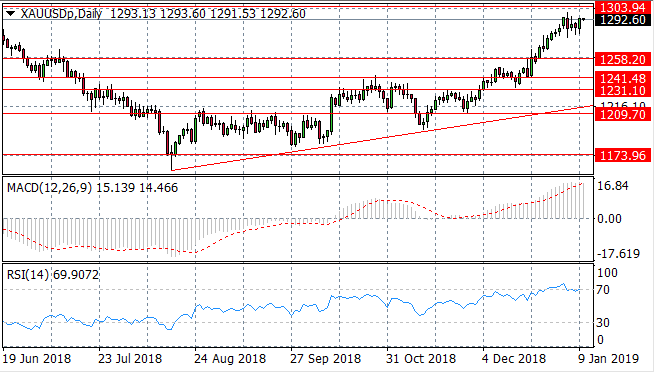 A pause in the rally has ignited buying activity which may see the metal reaching the 1303.94 price level. RSI has pulled back to test the 70 resistance area and MACD has flattened in bullish territory. 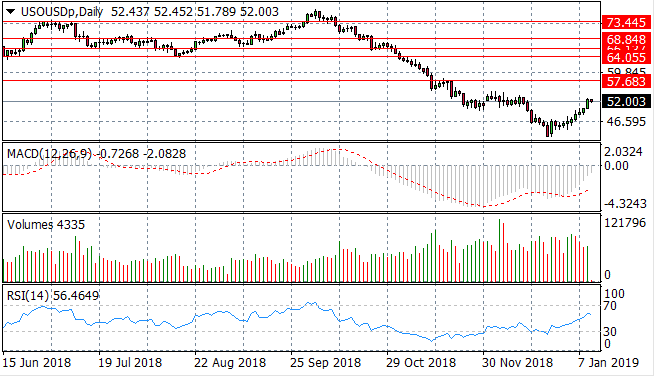 WTI buyers appear to be dominating price action with rising buying activity as the commodity climbs beyond $50 per barrel. Momentum indicators have begun a bullish reversal, with MACD approaching the zero line and RSI taking a sharp upward trajectory.